Prime Minister Narendra Modi said any government action on the temple construction can happen only after judicial process is over. New Delhi: The RSS on Tuesday said people expect the Modi government to fulfil its promise of building the Ram Temple within its tenure as the BJP was elected to power in 2014 for committing to all possible efforts to do so. Just four months before the Lok Sabha Elections, Prime Minister Narendra Modi’s acknowledgement of the Ram Temple issue assumes significance for the fact that it might become the main electoral issue in the country. For the RSS, which has been campaigning for the grand Ram Temple at the disputed site, the Prime Minister’s commitment on the issue came as huge assurance that the ruling government would take serious steps to build the Temple. The reaction from the Hindutva organisation’s joint general secretary Dattatreya Hosabole came after Prime Minister Narendra Modi said any government action on the Temple construction can happen only after the judicial process is over. The Supreme Court is scheduled to hear the Ram Temple case on January 4, even as Hindutva organisations, including the RSS and its affiliates, as also the BJP ally Shiv Sena, have been pitching for an ordinance to pave the way for early construction. 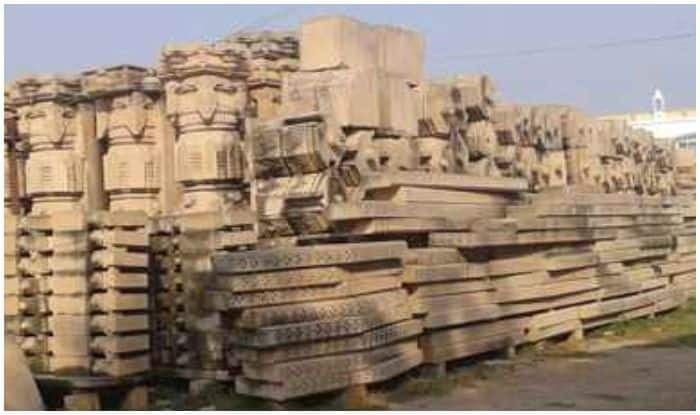 “Under the leadership of Modi, the BJP in its 2014 election manifesto had promised to make all possible efforts within the ambit of the Constitution to build the Ram Temple. People of India gave the BJP a majority, trusting their promise,” the RSS tweeted. The government’s term will end in May. The RSS also described Modi’s comments as a “positive step” towards the Temple construction. It recalled that the prime minister’s remarks are in line with the 1989 BJP resolution passed in its Palampur convention, in which the party had committed itself to build the Temple in Ayodhya with either consultation among different stakeholders or by bringing enabling legislation. In a dig, Shiv Sena’s spokesperson Sanjay Raut wondered if the law is bigger than Lord Ram for Modi. Hindu organisations have been pitching for an ordinance to pave the way for an early construction. The RSS described Modi's comments as a "positive step" towards the temple construction. In a dig, Shiv Sena's spokesperson Sanjay Raut wondered if law is bigger than Lord Ram for Modi.